Håkon Wium Lie has many claims to fame -- he not only created Cascading Style Sheets, an integral part of the web, but he also was the first person to publish the laws of Norway (which are public domain, but were behind a $1/minute paywall at the time) for free, online. Though the company that maintained this paywall threatened to sue, they eventually saw the light and put the laws up for free. Decades later, Lie is once again at the centre of a battle over the publication of Norwegian laws -- this time, it's the decisions of Norway's courts. These decisions are every much a part of the law as the statutes written by Norway's legislature, and just like those laws, the court decisions are in the public domain. The same company that publishes the laws, Lovdata, also publishes these court documents. Lie joined forces with the volunteers behind rettspraksis.no to create a free, public repository of Norwegian court decisions, only to find themselves sued by Lovdata, who falsely claimed that Rettspraksis had crawled its website to get the rulings (Lie got them by checking a set of rulings on CDROm out of the library). Incredibly, the judge in Rettspraksis's case ruled without hearing from Rettspraksis at all, and ordered Rettspraksis to take down the court rulings (they had already done so -- apparently the judge didn't even look at the site before ruling on it) and to pay Lovdata's legal bills. Rettspraksis is appealing, and they're using the high-powered lawyer who defended Jon "DVD Jon" Lech Johansen. 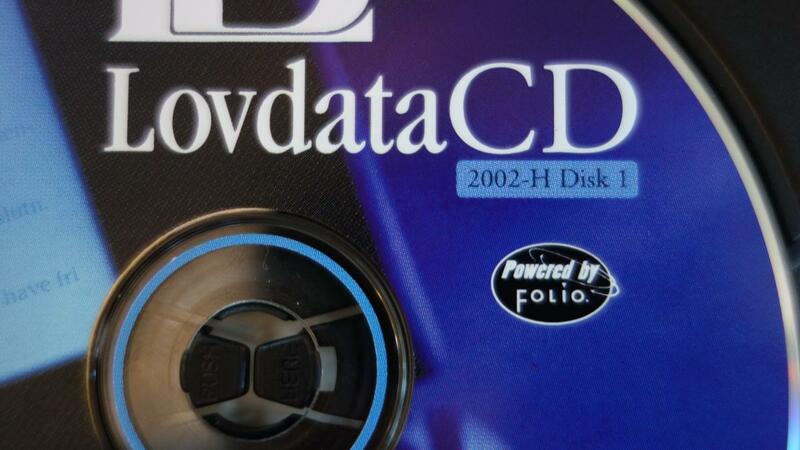 I was happy to help the project by borrowing old Lovdata CD-ROMs in the National Library of Oslo. The old CD-ROMs are important for two reasons. First, they contain thousands of court decisions in one place and they are easy to read. Second, they have a definitive date of issue. While laws and verdicts are exempt from copyright, the EU has a directive on the legal protection of databases, which introduces a 15-year protection for databases. While I normally do not think that a stack of documents are a «database», it may be argued that the collection of decisions is protected by the directive. But a CD-ROM from 2002 is definitively not protected.